We’ve heard reports of commercial UAVs helping to deliver drugs to prisoners, survey potential robbery locations, spy on people, and even disrupt an FBI hostage raid, but this could be the first time they’ve been used in an assassination attempt on a country’s leader. Maduro was speaking at a military event in Caracas on August 4 when the apparent attack took place. Information Minister Jorge Rodriguez said one of the explosives went off near the president, though he was unhurt. Seven National Guard soldiers are reported to have been injured. The event was being shown live on national television. The audio was cut off at the time of the explosion, followed by footage of soldiers running away. 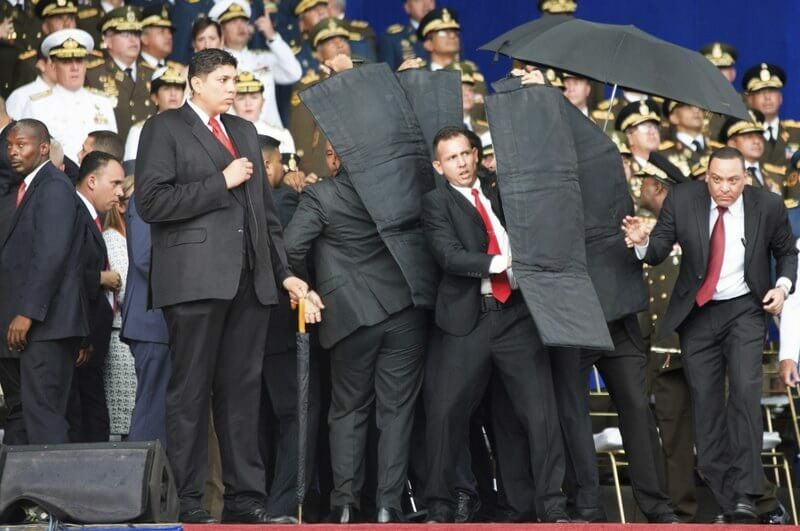 Images on social media show Maduro being protected by black bulletproof panels. Maduro has often been criticized for policies that undermine democracy and violate human rights. Falling oil prices have pushed Venezuela into the middle of an economic crisis, and the President’s recent re-election brought claims of fraudulent polling. Rodriguez claimed Venezuela's right-wing opposition was behind the attack. "After losing the vote, they failed again," he said. Maduro, however, said Colombian President Juan Manuel Santos was responsible, a claim the Colombian government has called “absurd.” He also alleged that elements within the US were part of "a right-wing plot" to kill him. A group called Soldiers in T-shirts used social media to claim responsibility for the drone attack, though it has offered no evidence. It claims the UAVs were shot down before reaching Maduro. If this really was a drone attack—some authorities claim it was a gas tank explosion—it could mark the start of a practice where non-military UAVs are used in assassination attempts on high-profile targets. Couldn't have happened to a nicer guy. Though, I expect this concept of being "intellectually responsible" for crimes to gain traction with our socialists here in the United States. It feels right, as they say. Columbia? Right-wing conspiracy? USA? Gee, I thought it much more likely to be starving citizens. seeprime, davislane1, psycros and 1 other person like this. There is a very good chance this was staged and just an excuse for Maduro staged this. He just had to come out a few days ago saying that his government is responsible for the collapse of their economy. This gives him good cover and an excuse to take out opposition. RevD14, seeprime, davislane1 and 2 others like this. Been warning about this for years. Anyone can afford one of these things now and a 10-year old could easily build the bomb. The instructions are all over the net. Today the gangs and terrorists use drones to spy on cops and soldiers and a number of groups are equipping them with automatic weapons and sniper rifles. Fun times. These are the kind of attacks that keep me up. Imagine the same thing but flying into a NFL stadium on game day, $1000 drone, $50 bomb and some shrapnel, hundreds dead and injured, attacker is miles away in any direction. Yeah a drone with a sniper rifle.... Do you have any idea the skill it takes to hit someone with a sniper rifle? Do you think the stuff you see on Facebook is real? And you think they somehow modify drones to shoot assault rifles? Do you understand that guns have kick back? Yes people can put bombs on drones. We have had EMP's for quite sometime, I bet that is what is being used currently in first world countries to protect leaders. In case of a drone assault. There was actually a team of thieves in the 90s that bought a EMP from Germany and used it to disable a jewelry stores alarm. It knocked out like a city block and fit in a suitcase. Have you ever shot a long rifle before? It takes zero skill to hit anything within 100-300m with a long rifle (source: personal experience...those distances are point and shoot). Skilled shots are 1000+ meters, and putting a drone that far out is pointless. Almost as pointless as using one to pick someone off. treetops and Boilerhog146 like this. Socialism wasn't the problem in Venezuela. It was the government's completely inept managing of the economy. They ran a deficit when no one was willing to loan them money to cover the extra cost, so they printed money to make up the rest of the deficit. This lead to hyper-inflation which lead to their current problems. This is economics 101 and their government failed on that. That's what you get when you elect a populist president with zero real applicable experience. That's not to say that their socialist policies weren't hurting either. Any system has to be designed with human nature in mind, which includes the idea that every system that can be exploited will be. No pure socialist or communist or democratic system will ever work (well, not without the perfect storm). It's the combination of ideas that create a balanced system that can stand the test of time. The group taking responsibility said that the drones were shot down before they could reach Maduro. That part stood out to me because it's like, "Wow, they were prepared and is saved the life of Maduro and those people around him." Oil dropped below $50 a barrel in 2015 when OPEC and USA flooded the market, this hurt Russia mainly but destroyed Venezuela's economy. Funny enough Alex Salmond who was Leader of the Scottish National Party, during the 2014 Scottish Independence referendum said that Scotland could enforce loads of social policies without the English tax payers money because the barrel of Oil was at $140... bet Scotland are glad they didn't leave the UK now. Evernessince and NightAntilli like this. The timing of it is certainly convenient. You mean the starving citizens that chose to keep rabbits as pets rather than eating them? You mean rather than buying food they would buy a drone to attack the president? You mean rather than going fishing or hunting or looking for fruits in the woods they'd spend their time planning a bomb attack? I gotta say the issue with politics is not politics themselves, it's the human factor... and in the case of Latin America, it's a matter of greed and corruption. Left, right, who cares?! Corruption and greed are what drives these people. That's the problem with relying too much on any single product, your economy rises and falls with it's price. You think the whole nation planned a bomb attack instead of going fishing? I think you need to get some professional help. I'm sure they went fishing if they had fishing tackle. Others probably raised rabbits or caught rats (a pet terrier dog is worth his weight). It only takes a few to execute a bombing. You might look at https://www.csis.org/analysis/maduro-diet-food-v-freedom-venezuela . Too bad V is run so poorly. It was a wonderful, almost wealthy country. I...[ ]....Too bad V is run so poorly. It was a wonderful, almost wealthy country. Quote me where I said the whole nation planned a bomb attack. Oh right. I didn't. And no. The whole nation isn't starving. Otherwise they wouldn't be adopting the rabbits as pets rather than eating them. Note that pets also need food and water, which is additional costs. Let that sink in. Now whether this is the case here or not for this attack specifically, we do not know. But the US has been attempting to overthrow Venezuela since the late 90s, at least. And considering that the US sends Colombia half a billion dollars every year, it's not far fetched if they are helping to carry out the globalist agenda that the US has been pushing. Please show me a circumstance or any proof in any form that a public non military grade drone has ever been modified and successfully shot anything with any gun. 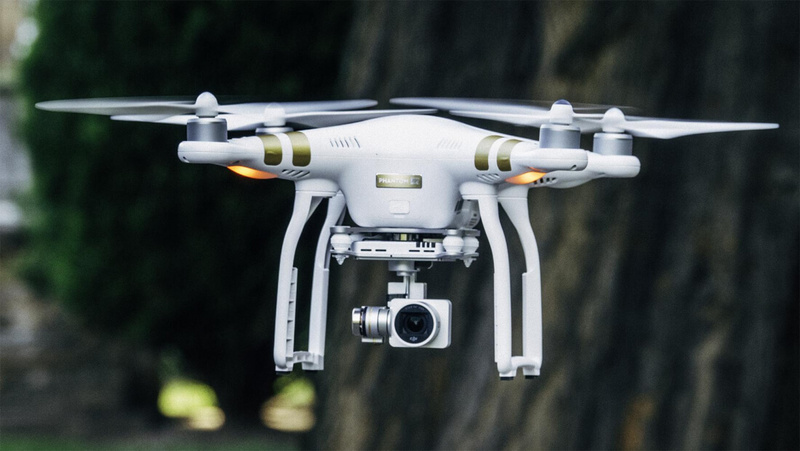 If a drone could fly perfectly still, even then using a camera to shoot someone would be somewhat difficult at range. It can be done but it hasn't yet. I needlessly come off as argumentative, but I am to lazy to edit. Partially true. The US had a ban on exporting oil if the local need was not met. This law was cancelled in 2014/2015 (don't remember when exactly). Since then, even though the US is the biggest producer of oil, they are both one of the top exporters and importers of oil, simply because the companies make more money selling overseas, and the US needs to spend more money to buy oil back from somewhere else, including Venezuela to this day. It isn't really accurate to say that OPEC also flooded the market... Venezuela is one of the first five members and still is a member. Why would they kill themselves? This was all the US. It's trivially easy to mod a drone to shoot a gun. Do an illegal motor swap so the airframe can carry a heavier load and you can put any long-rifle on there you want. Edit: This is also why I say it's pointless to use a drone as a sniper platform. Load it up with a shotgun or a grenade launcher, fly in nice and close, and boom. This super spy sniper stuff is too fancy. I'm sure none of you have thought of this, but frankly, the president of Venezuela could have launched the attack himself, simply to point a finger at the US. Since the probability of a sniper drone being successful would be almost be completely nil, (especially if one of his most trusted generals was at the controls), he wouldn't really be in danger. But it does give him a talking point for Venezuela, and against the US. And by the way, all you US haters in the audience. You always seem ti be backslapping us when your foreign aid package arrives.